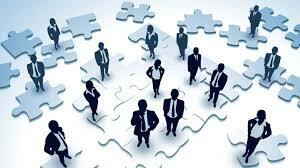 In order for any company or workplace to perform efficiently, there must be a system of organisation in place. Employees should be informed of their designated working hours and the tasks and responsibilities they are assigned to for within these hours. They should also be aware of their holiday and leave entitlements. For Management, it is important to have visibility on future or anticipated demand and to be in a position to assign the required levels of staff. It is also vital that managers can make allowances for absences; both planned and unplanned. More and more companies are adopting Workforce Management Systems to assist them in organising, tracking and optimising their employees and output. Specifically, Workforce management solutions allow companies to forecast workload and required staff, track the timekeeping and attendance of their staff and track the various projects across the company. Let’s take a look at the core elements of Workforce management and how they can be of benefit to you. Time and Attendance tools allow you to track and analyse employee hours worked. Time and Attendance tools allow you to build a clear picture of employee time through detailed data and reports on attendance, absenteeism, overtime, flexi-balances, rostering and holiday leave as well as producing real time reports on individual employees. By implementing online scheduling software and eRostering software, companies can eliminate paper based rosters and reduce the errors that are associated with manually prepared rosters. Online rosters give you visibility of all employees and their hours worked. Most importantly, eRostering enable companies to align staff supply with customer demand, ultimately reducing costs and improving customer experience. Project Management Software allows companies to track employee activity and involvement in relation to ongoing projects. Employers can view the time spent on a project, activity and cost to the project. With Project management software, managers can keep projects within budget and reduce the loss of unaccountable hours and profitability. The true benefits of Workforce Management Solutions lie in reducing costs, driving efficiencies and increasing the productivity and profitability of your company. To find out more about Workforce Management Solutions and the many benefits they offer, request a Demo of our Workforce Management tools here.